The technology of iNSTANTECHNOLOGIES, thanks to a proprietary semantic engine, can work with limited data, allowing companies of any size to apply Artificial Intelligence systems to their business. With over 20 years of experience in the field of AI, iNSTANTECHNOLOGIES is one of the few private AI companies in Europe with fully proprietary technologies. So far, user experience in e-commerce was static and dispersive. The user wandered in a casual manner, overwhelmed by store’s infinite product list. Data analysis based on live data from the website and the web. Dynamic Layout, interactions with the Chatbot, notifications, and suggested paths based on live data analysis. User profiling and fields autocomplete. Behavioral prediction and predictive analysis. Propositive Chatbot that interacts with the page layout to inform, orient, and increase conversions. 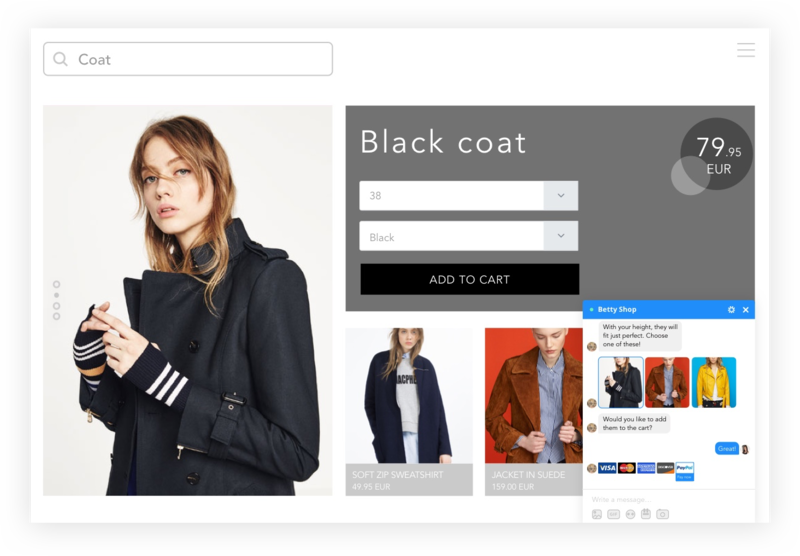 Our advanced e-commerce experience adapts to the needs of the user, generates a dynamic layout and the chatbot guides the customer from discovery to purchase. The Chatbot allows you to get in touch with your audience by actively engaging them through instant, interactive, private, and custom conversation. Our Chatbot is based on a proprietary Artificial Intelligence technology, making the product adaptable to any customer’s needs and demands. Choose one of 7 levels of Chatbot best suited for your online business. What is your reputation online? The Sentiment Analysis explores the web from Facebook to Instagram, blogs, news, and forums. Using our proprietary Semantic engine, the Sentiment Analysis not only registers whether users like – or not – a brand or a product, but it understands the reasons that brought to that judgment by analysing all the elements related to the topic and context. Artificial Intelligence is changing the World and the society in which we live and work. We believe in AI positive impact and we would like as many people, innovators and businesses to benefit from it. We have the technology and the ambition to do it! IS IT YOUR FIRST AI PROJECT? Please, allow one of our consultants to help you choose the right solution for your online business.